Nowadays, most people prefer community living because of the attractive upsides associated with it. Some of the major pros here include a higher level of security, modern amenities, ease of living and maintenance, etc. No wonder, the flats in Kochi are filling up real fast. You may choose your flat depending on your budget and lifestyle too. However, it may cost a fortune to own a luxurious flat in the city center. 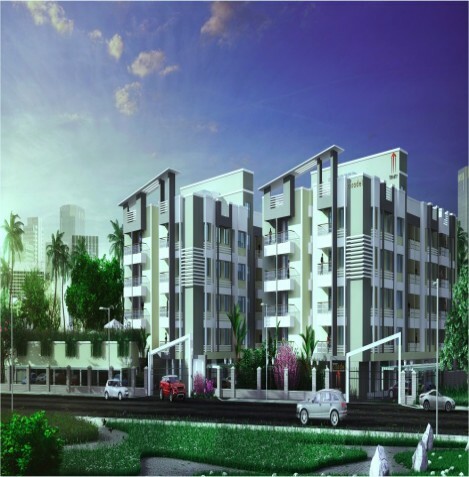 Hence, most people may settle for 1bhk or 2bhk apartments in Cochin. The main concern that you may face while dealing with a small apartment is obviously the space issues. Nevertheless, you can overcome this easily by means of some simple organization hacks. Most people will be aware of organizing their living room, bedrooms, etc., in such a way that it looks more spacious. However, people often overlook their tiny balconies and may leave it cluttered and unappealing. Note that balconies are the best place for you to relax and connect with nature when living in flats. So, neglecting this outdoor space will be one of the biggest mistakes that you will be committing. Below are some brilliant ideas that you may consider to transform your teensy balconies into an irresistible outdoor space. The main thing that you must consider here is to avoid cluttering your balconies with dead plants and unused furniture pieces. Rather, spruce it up using affordable decking. Usually, some boring concrete slabs will be used for the balcony flooring. However, you can give a stylish makeover to it using interlock tiles that can be installed easily. In the case you are a renter, there are many detachable interlock flooring available in the stores. When it comes to furniture, it is better to use multipurpose ones in order to make better use of the space. For instance, you may consider a small sofa that can be used as a recliner as well as a chair. Additionally, make sure that you can fold it down whenever you need so as to make more leg space. You can also attach a tiny foldable dining table on the wall in order to improve the overall comfort and luxury of the space. Your balconies must be your private outdoor space, and hence, it must be well sealed from the hustle and bustle of the city. One of the best and affordable options for this is a bamboo privacy screen. You can make it yourselves using a number or bamboo sticks. Once you have installed the screen, beautify it with warm lighting, stylish lanterns, or beautiful plants. Otherwise, you may simply purchase any of the stylish readymade privacy screens from the home décor stores.